The Capacity Assignment (CA) problem focuses on finding the best possible set of capacities for the links that satisfies the traffic requirements in a prioritized network while minimizing the cost. Most approaches consider a single class of packets flowing through the network, but in reality, different classes of packets with different packet lengths and priorities are transmitted over the networks. 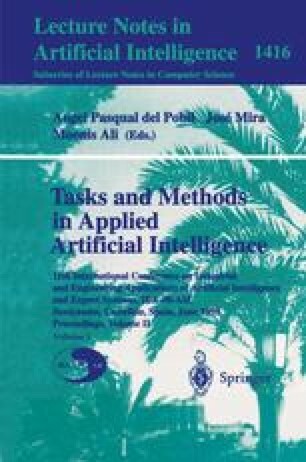 In this paper we assume that the traffic consists of different classes of packets with different average packet lengths and priorities. Marayuma and Tang  proposed a single algorithm composed of several elementary heuristic procedures. Levi and Ersoy  introduced a simulated annealing approach which produced substantially better results. A new method that uses continuous learning automata was introduced in a previous paper . In this paper we introduce a new method which uses discretized learning automata to solve the problem. Indeed, to the best of our knowledge, this is the fastest and most accurate scheme currently available. Supported in part by the Natural Sciences and Engineering Research Council of Canada.